This day in California included a visit to Malibu beach but also to the house where the series Charmed was being filmed.Such a great experience to be there! Αυτή η μέρα στη Καλιφόρνια περιελάμβανε μία επίσκεψη στη παραλία Μαλιμπού αλλά και στο σπίτι όπου χρησιμοποιούσαν για γυρίσματα στη σειρά οι Μάγισσες.Πολύ ωραία εμπειρία παρόλο που αποτελεί ιδιωτική κατοικία! Hi!Today i am in this red playsuit exploring Los Angeles,from the OUE skyspace where you can see the whole city from above to other nice little corners.Have you ever been to LA? 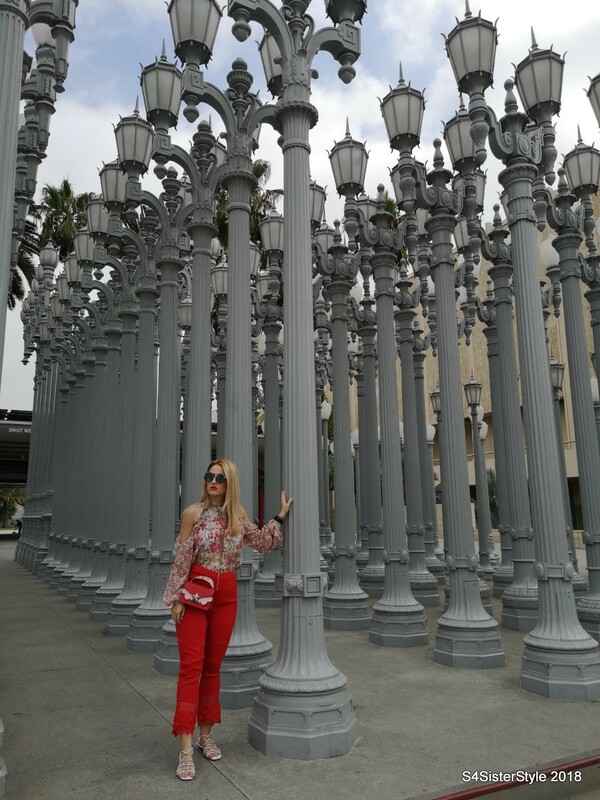 Hi all!After a day exploring the centre of LA,i am here at the walk of fame ready to ride back to our Beverly Hills apt wearing a really convenient outfit.Do you like it? 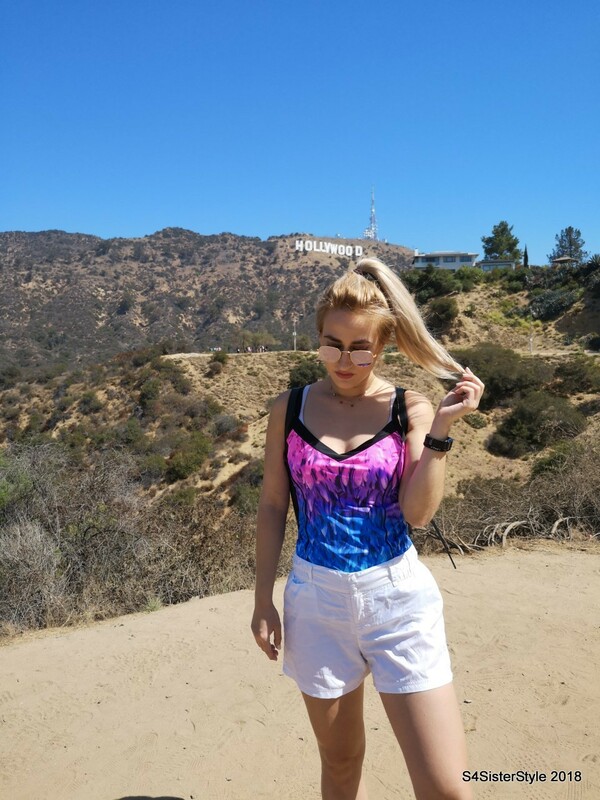 So of course we couldn’t miss the hike up to the hollywood sign.There are a lot of places where you can see it but we chose the lake Hollywood park,where it’s easier to snap some close photos.Let me know if you like them!